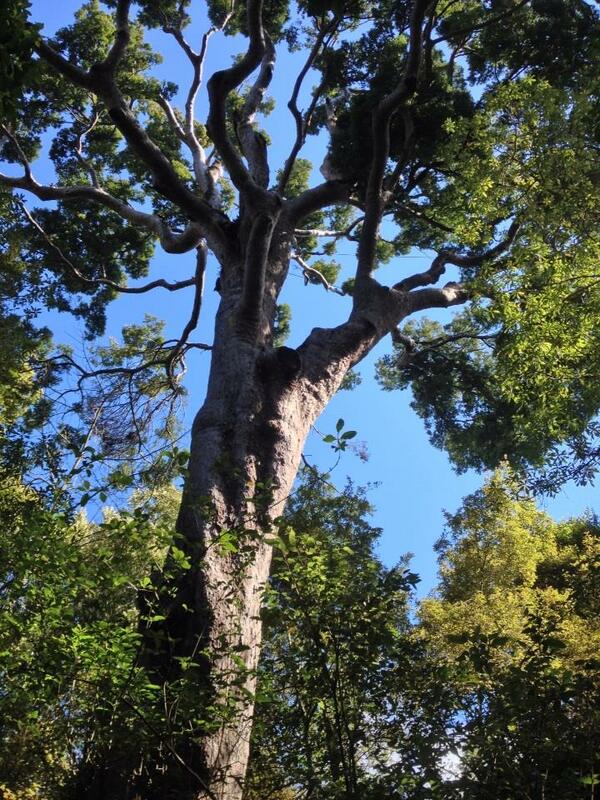 Our beautiful old Matai is now registered on the New Zealand Notable Tree Register. Click on the.. 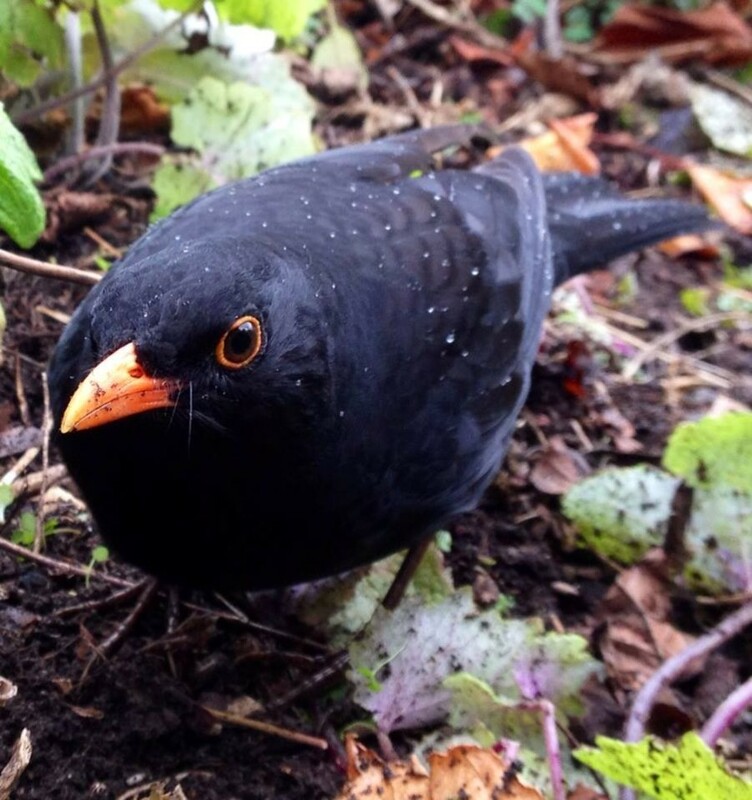 This sociable little guy appeared again today in the Garden. He’s turned up three days in a row now. 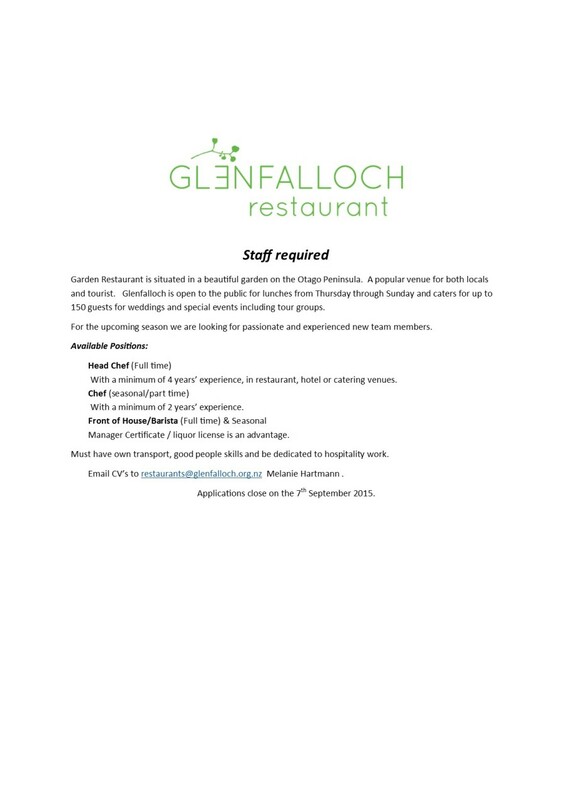 Restaurant Staff required for the up and coming season. Positions needing filled are Head Chef, Part-time Chef, Front of House and.. 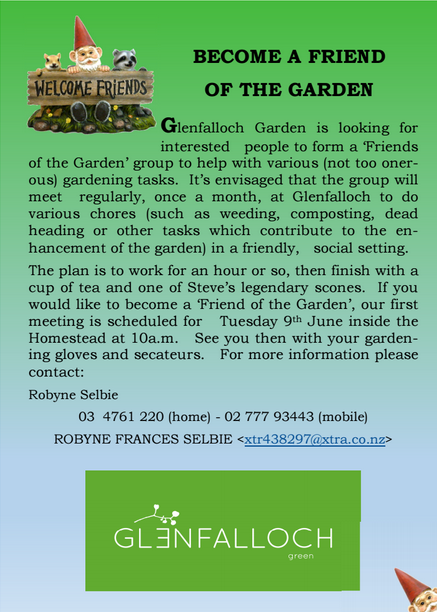 Become a friend of Gelnfalloch Garden and help out with some gardening tasks.